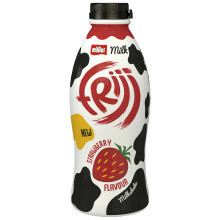 Müller Milk & Ingredients unveiled its reformulated and rebranded FRijj range, backed by consumer testing which shows that respondents much preferred the new recipe with feedback saying that it boasts more flavour and a better colour. The improved recipe will be available in retailers (subject to availability) at the same MRRP from April, in all existing SKUs (Chocolate, Banana, Strawberry, Fudge Brownie, Cookie Dough and Choc Orange flavours), alongside new flavour, Choco-Hazelnut. 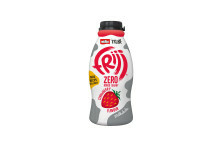 In addition, the existing range of ‘40% less sugar’ FRijj has been reformulated and rebranded to contain no added sugar*. 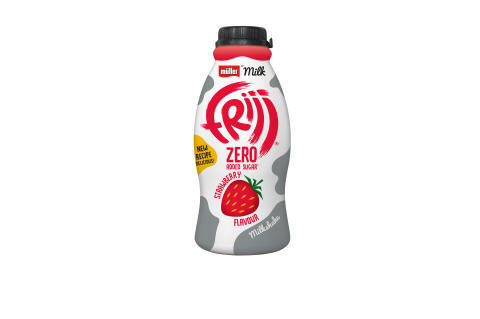 FRijj zero added sugar will be available in the following pre-existing flavours: Chocolate, Strawberry and Mango & Passionfruit. 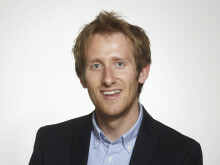 Müller research found that dairy consumers specifically enjoyed trying new flavours. The company is therefore continuing to mirror the successful limited edition model already employed by Müller Yogurt & Desserts, which helps bring additional excitement into the category. 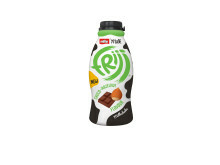 To mark the launch, Müller Milk & Ingredients has introduced a new limited edition FRijj: Choco-Coconut flavour. This will be replaced in July with White Chocolate &Pistachio flavour. 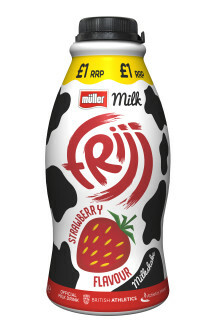 The Müller Milk brand was introduced in November 2016, and for the first time, FRijj will now carry the recognisable Müller logo. The revamp is in line with Müller’s ambition to become the biggest and best fresh milk and ingredients business in the UK and significantly grow the dairy category, potentially unlocking category growth of £700 million by 2020. “When it comes to flavoured milk, it’s important that consumers have the option to have it with or without added sugar, without compromising on taste. It’s so exciting for FRijj to carry the trusted Müller branding and we can’t wait for consumers to try what we think is the best FRijj recipe yet. “With strong growth rates, milk drinks are seen as a major area of opportunity for the dairy industry, but for continued growth, we need to invest. The business is investing £100m, with some of this going towards creating a centre of excellence for milk drinks and fresh cream at our site in Severnside. This improved capability will massively help us grow the FRijj brand which has the awareness and long standing credibility to reach out to existing and new audiences. “New product development is vital when it comes to driving the growth of flavoured milk and this new improved recipe and rebrand really shows our ambition for the brand. Fresh milk and butter products, made by Müller from milk supplied by British farmers, are to be repackaged to feature the Müller brand more prominently. 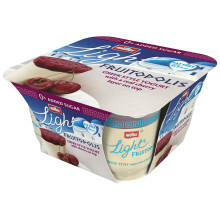 Müller has reformulated its Müllerlight Fruitopolis range, so that it now includes 0% added sugar*. Müller is targeting additional consumption occasions with the launch of 900ml FRijj SKUs.